The West Loop is one of the most vibrant neighborhoods in Chicago. It’s home to some of the most renowned restaurants in the world, an awesome cultural scene and literally the best burger in the city at Au Cheval. Trust us and check out Au Cheval to celebrate after visiting 768 W. Jackson. This vintage building was a once turn-of-the-century hotel that has now been transformed into gorgeous studios. Each apartment features new hardwood floors, granite countertops and stainless steel appliances—this unique fusion of vintage and modern defines the West Loop living experience. Proximity to the University of Illinois at Chicago plus Blue, Green and Pink lines makes convenience part of the culture. 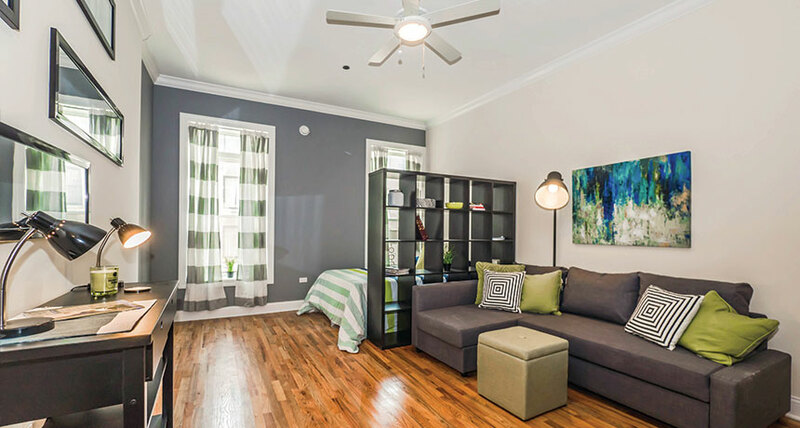 Schedule a visit today and start living the West Loop (best loop) life!